At some point in their lifetime, about 20% of all people develop hives. These itchy welts often start as a patch of dry, itchy skin that suddenly turns into the swollen, red bumps that are characteristic of hives. 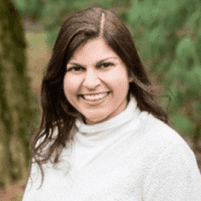 Anita N. Wasan, MD, at Allergy and Asthma Center has extensive experience determining what caused your hives and developing the treatment needed for your health needs. To schedule an appointment, call the office in McLean, Virginia, or use online booking. Hives, or urticaria, are red, itchy bumps that appear on your skin. The welts may be different sizes, and your symptoms can range from mild to severe. While hives usually go away on their own, they can persist. You have chronic hives when the welts appear daily for more than six weeks. How can I determine if I have hives or another skin problem? It’s also common for hives to randomly appear anywhere on your body or to occur along with a condition called angioedema. Hives are sometimes associated with angioedema, which is inflammation that occurs below the surface of the skin. The swelling and redness of angioedema typically appear under the skin of the face, throat, hands, and feet, although it can develop elsewhere on your body. When angioedema occurs without hives, it’s often caused by medications. Some patients develop hives following a physical trigger, such as scratching or rubbing your skin. Exposure to cold, heat, pressure, sunlight, and high body temperature may also make hives appear. The first step is to determine the underlying cause of your hives, which may include allergy testing using a skin prick or patch test. Treating an allergy with allergy shots or avoiding the trigger may be enough to stop future hive flare-ups. Dr. Wasan may also prescribe medications to relieve your symptoms such as oral or topical antihistamines and biologic injections. If you develop hives, call Allergy and Asthma Center or book an appointment online.